Here in Knoxville, the Great Smoky Mountains often get all the attention from hikers looking for breathtaking overlooks and deeply wooded trails. But you can get a great outdoor experience much closer to home if you know where to look. 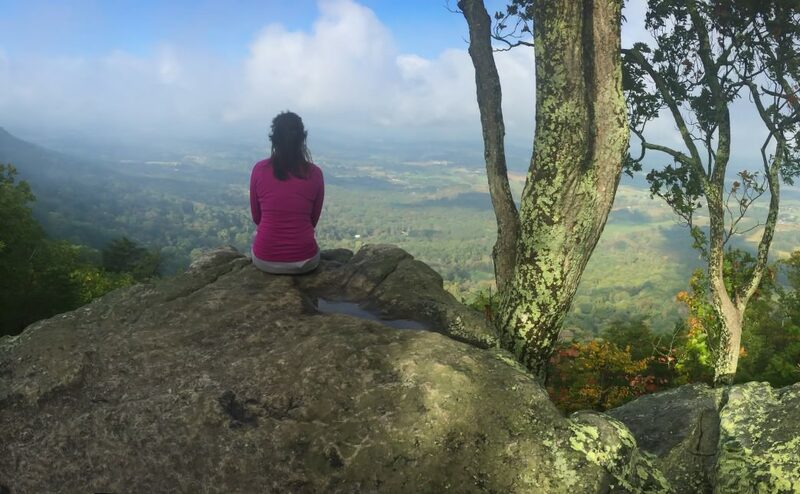 There’s a beautiful bird sanctuary out east, mountains and lakes just north, and a sprawling Urban Wilderness in the heart of South Knoxville—all local and all well worth the trip. 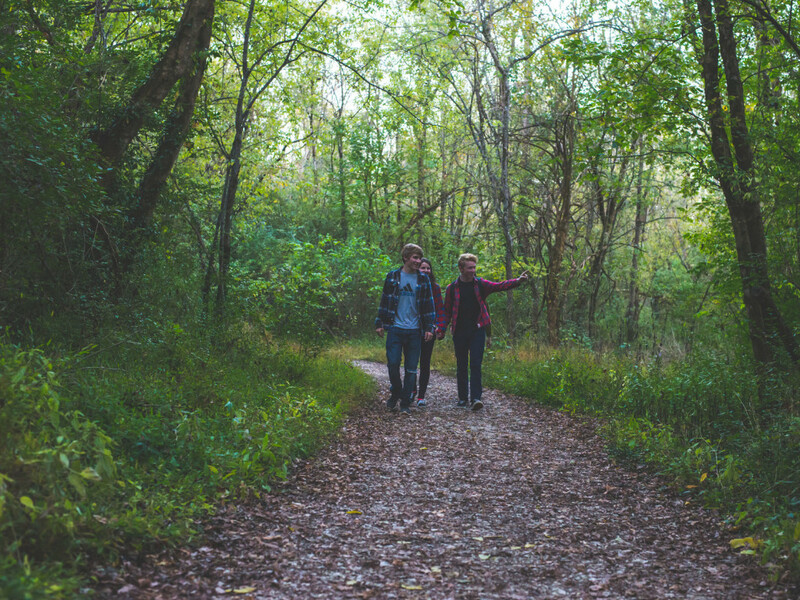 Whether you’re strapped for time, low on gasoline, or just want to get in touch with the scenery sitting in your own backyard, we'll take care of you with these nine hikes near Knoxville. 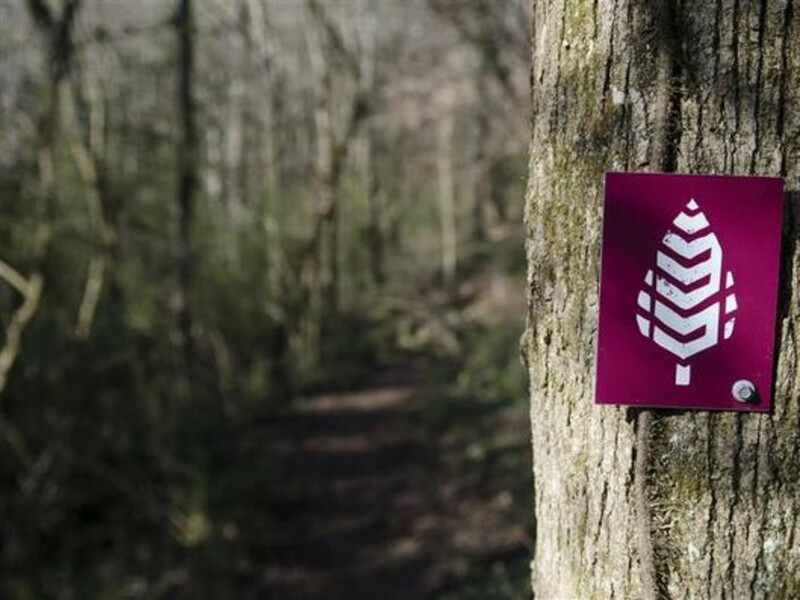 The endlessly adaptable Imerys is one of the most diversely used trails in Knoxville. At its start at the Meads Quarry parking lot, you’re likely to see young families heading down to the lakeside, mountain bikers setting off for the downhill flow trail, trail runners squeezing in a few miles after work, and maybe even some guy on a first date trying to back up that “loves the outdoors” bit from his Tinder bio. Further in, hikers can peel off toward the Ross Marble Quarry Loop or turn down the Turnbuckle trail toward William Hastie and Marie Myers Park . Continue on along the Imerys and you'll emerge from the woods atop large limestone hills before the trail ducks you back into the canopy. You can take the fork toward Burnett Ridge or continue on to where the trail exits the park, about 1 mile from its start at the Mead’s Quarry parking lot. Close to this exit, there's an option to turn right up the hill to make your way back to the parking lot via the Ross Marble Trail. Getting there : There are a couple of ways to access the Imerys Trail, including a new lot being installed primarily for Ijams Crag climbers at Aberdeen Lane. But the main entry point is still the one at Meads Quarry, just past the Ijams Visitor Center. See a map of the area here. Another great trail accessible from the Mead's Quarry parking lot is Tharp Trace, a thin path that climbs up to the cliffs behind the quarry lake and back down on the other side for a short-but-steep, 1.1-mile traverse. You can check out the Old Stanton Cemetery on a small detour from the trail, and you might even be able to see Mt. LeConte on a clear day from the overlook atop the cliffs. 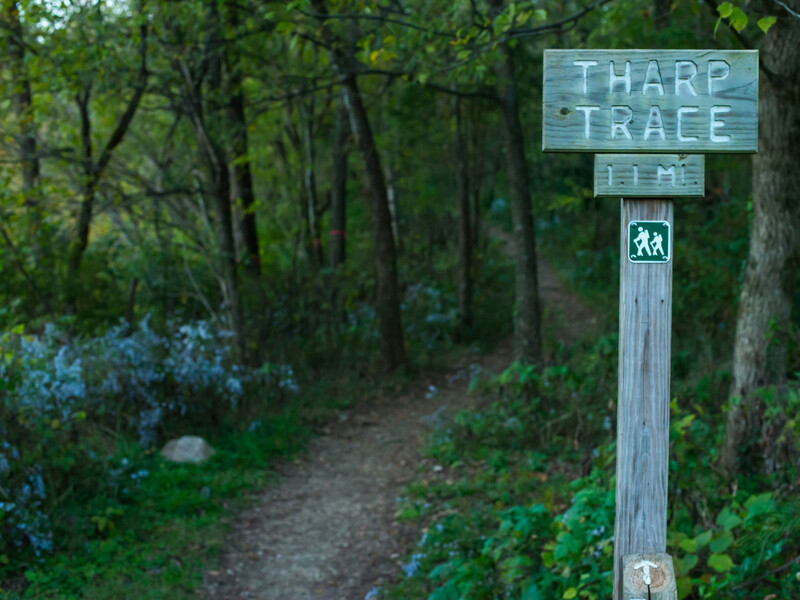 See a map of Tharp Trace and all the trails near Meads Quarry here . The South Loop is the glue of the Urban Wilderness , connecting 40 miles of trails and 5 wilderness areas in its 12.5-mile main circuit. The loop hops briefly onto sidewalks, roads, and paved greenways, but the vast majority of the experience takes place on natural surfaces deemed easy-to-moderate by most. 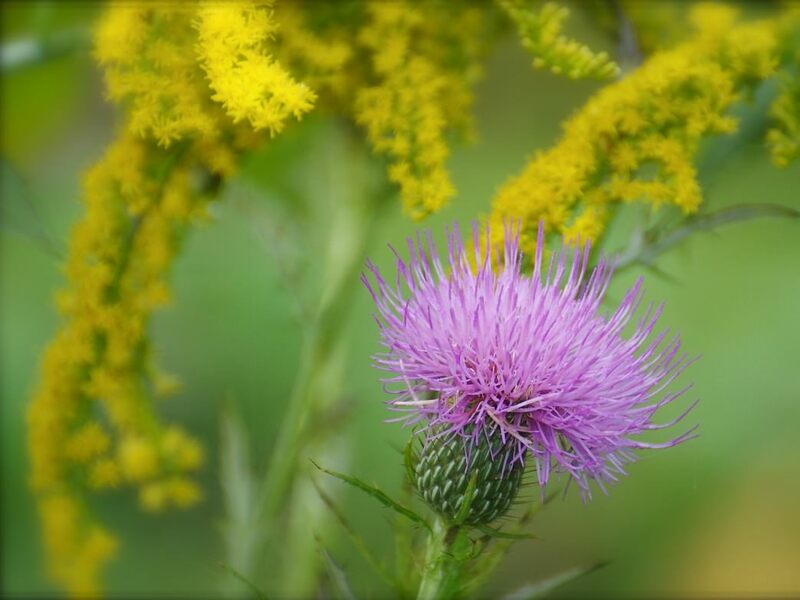 The South Loop is the best way to get a taste of what the Urban Wilderness has to offer. Getting there : Most hoping to tackle the South Loop will park at the Meads Quarry parking lot, but alternative parking can be found at the Anderson School, the main Forks of the River entrance, and the Dozer trailhead on Burnett Creek Road. The most popular hike at Ijams is likely the Lake Trail. 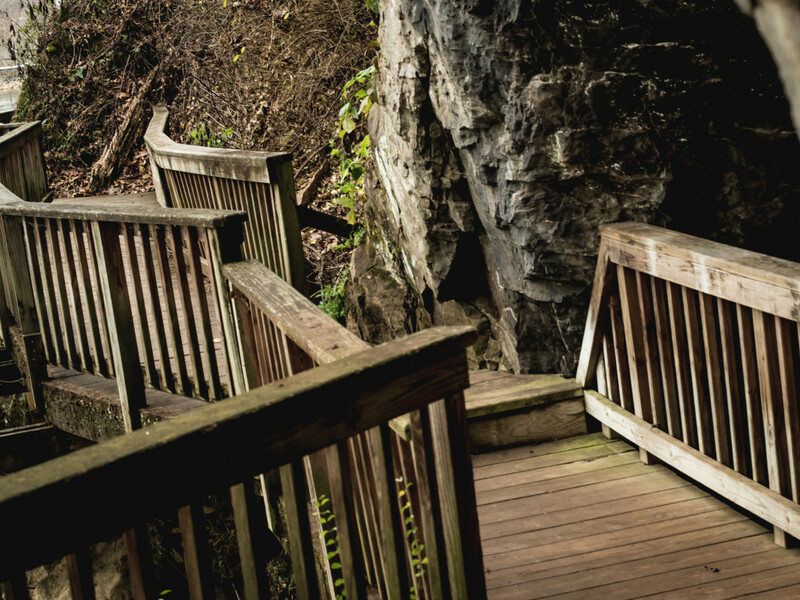 Starting from the Ijams Visitors Center, hikers can take the North Cove trail down to the River Trail proper, where they'll eventually hop onto the boardwalk and pass Maude's Cave on the Tennessee River. The trail then curves right, heading inland and eventually connecting back to the Will Skelton Greenway, a paved path that follows Island Home Avenue back to the Visitors Center. Getting There : From downtown Knoxville, take Henley Street south across the Tennessee River. Turn left on Sevier Avenue, left on Island Home Avenue, and follow Island Home Avenue, following signs for Ijams. Maps available here and at the Ijams Visitor Center. 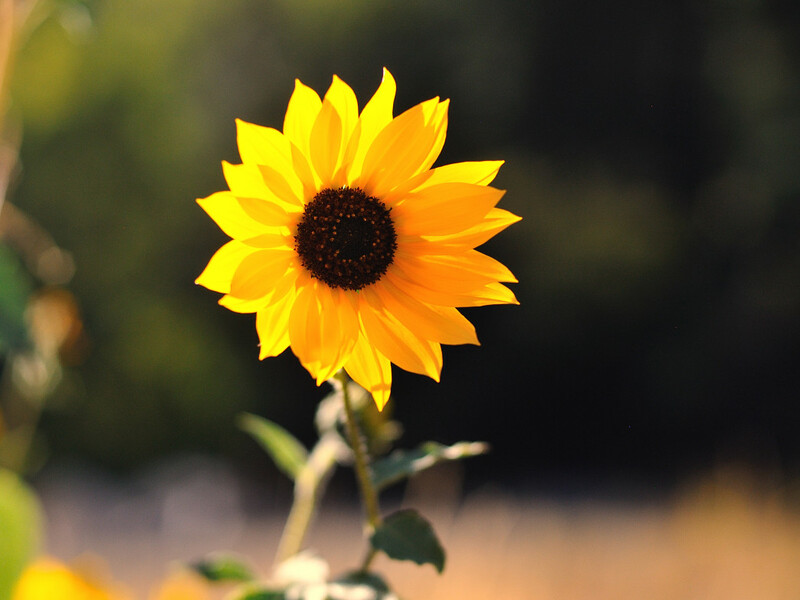 Forks of the River Wildlife Management Area has been gaining wide acclaim for its stunning summer sunflower display, but the park remains for most of the year much less populated than nearby Mead's Quarry. This is good news for the trails—which remain pristine and relatively free of trash—and of course for you. On the northern end of the park, hikers can pass through densely wooded waterside trails like Auggie’s Run, down to the rolling grassy hills of the Dozer section in the south. In the central part of the wildlife management area is a network of trails mostly used by mountain bikers. This inner-network meanders through open fields, hardwood forests, hedgerows, which are home to an abundant wildlife and songbird activity. When heading out to Forks, just make sure that you check the posted signage for open hours. The park is used by hunters during the colder months, and thus some of the trails have limited access at those times. Getting There : Two main parking areas provide direct access to Forks of the River, the main entrance of of McLure Lane and the Dozer trailhead on Burnett Creek Road . This city park offers another great waterside retreat for hikers hoping to get in a few miles without leaving the city. At I. C. King Park , easy scenic trails skirt the water's edge at Knob Creek while more strenuous options take hikers on top of wooded ridges. The park is popular among mountain bikers and trail runners for its sometimes technical terrain, but anyone can enjoy an hour or two exploring this Knoxville treasure. Getting there : Most I.C. 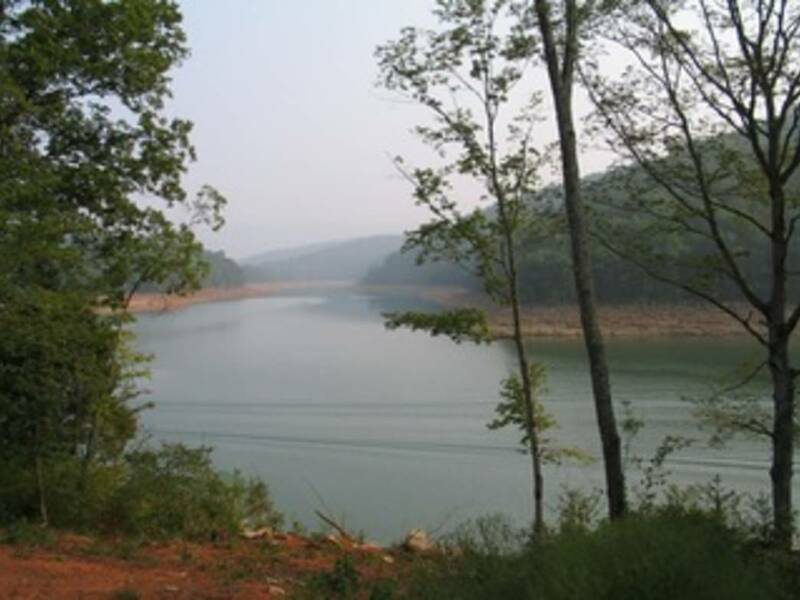 King users will park at the North Entrance off of Alcoa Highway, which comes down to the main trailhead for the Lower Lake Loop and Lower Beginner Trails as well as the fishing pier. The other parking option is the more hidden South Entrance, which pulls down to the water. Click here for a trail map for IC King Park. We’ve written about Seven Islands as a great paddling destination , but the park has some excellent trails and greenways too that are well worth exploring. 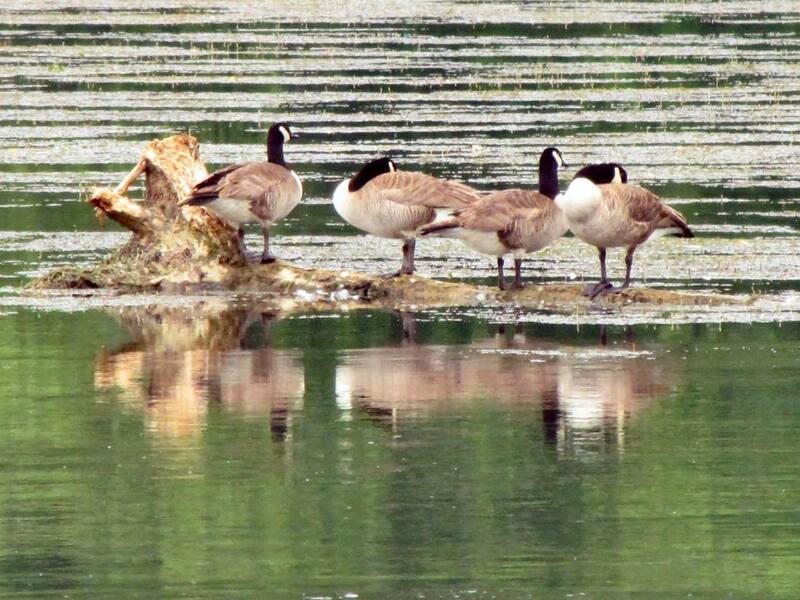 The park is bordered by the French Broad River and has the distinction of being Tennessee’s first birding park. Mowed paths invites hikers, runners, and explorers of all kinds deeper into the bird-filled fields and groves of Seven Islands , where you’re likely to encounter a diversity of birds deer, flowers, and wildlife of all kinds. 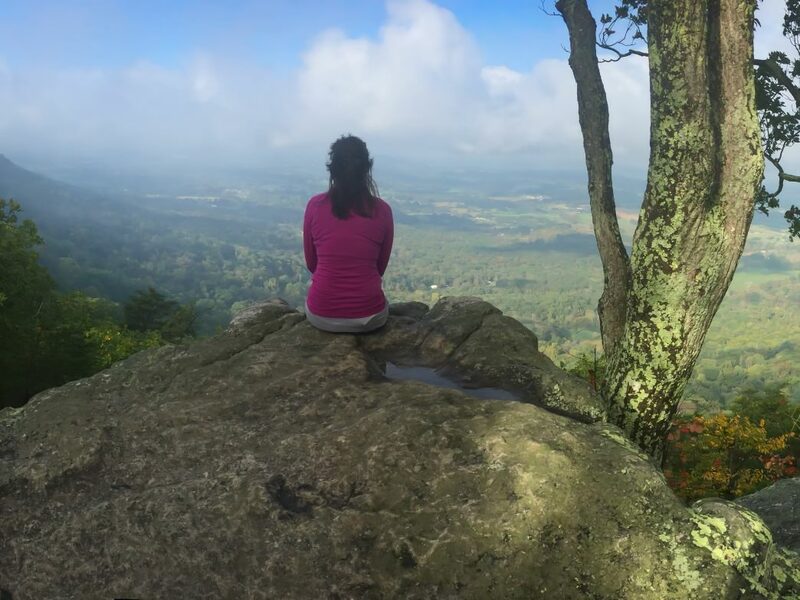 House Mountain is perhaps the best hiking destination in Knox County, with immersive forests and mountaintop views rare this close to the city. 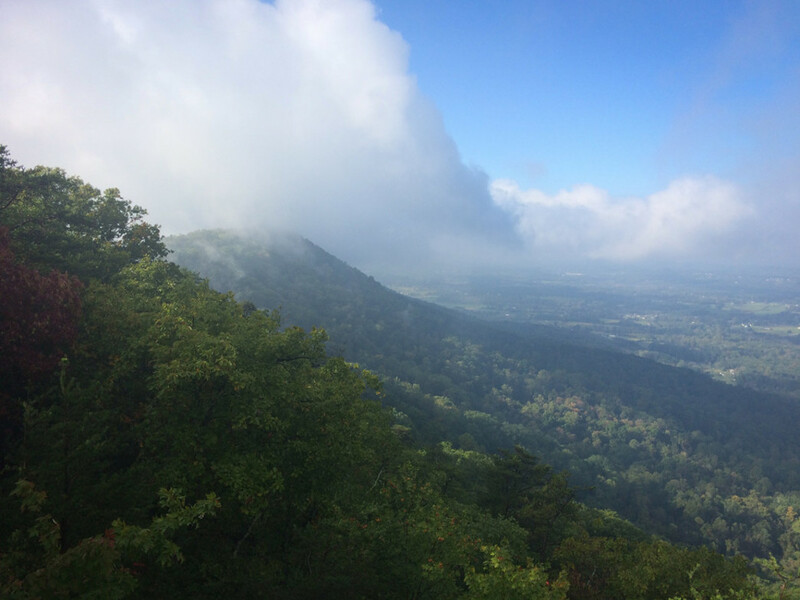 Only 10 miles northeast of Knoxville, House Mountain towers above nearby Corryton, and boasts the title of the highest point in the county. The main circuit takes you up the steep Mountain Trail and then southwest on the Crest Trail, with a steep descent via the West Overlook trail back around to the beginning. But once you reach the top of the Mountain Trail, we suggest you take a right down the northeast leg of the Crest Trail, before heading down its southwest end. The northeast section has perhaps the best views in Knox County. Getting there : The current "House Mountain State Natural Area" destination in Google maps will take you onto private property. To get to the parking lot, use this pin or plug 9601 Hogskin Road in Corryton into any major directions app. Getting there : The system of trails wind along both sides of Lower Clear Creek Road. Visitors can park at the Lenoir Museum near the intersection of Lower Clear Creek Road and Norris Freeway.